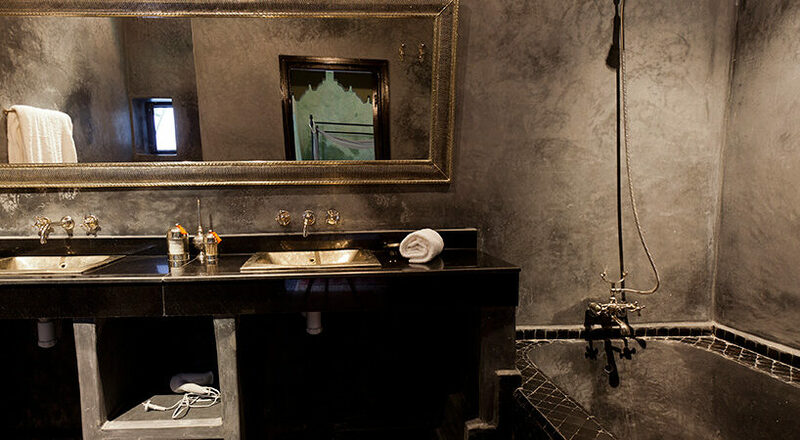 Origin Hotels offer authenticity and tradition along with modern hotel service and amenities. 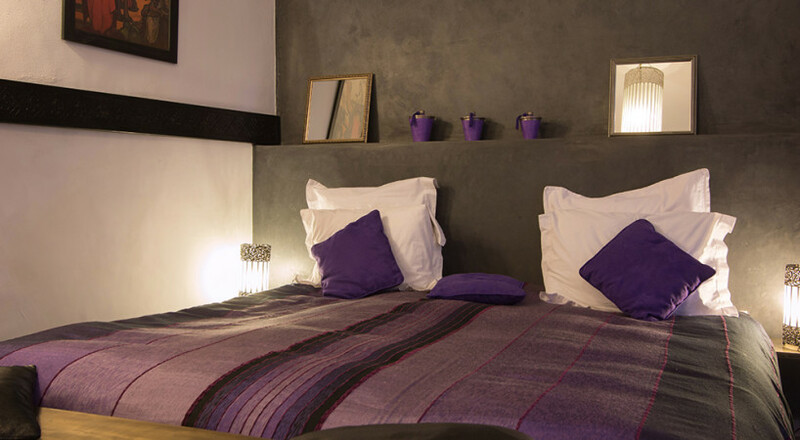 The comfortable rooms include modern beds and en suite bathrooms. 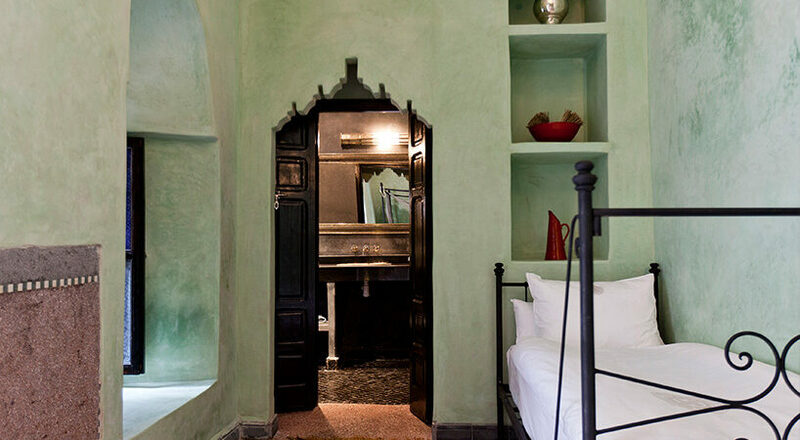 The interior finish is painstakingly selected and is in its original condition as much as possible. 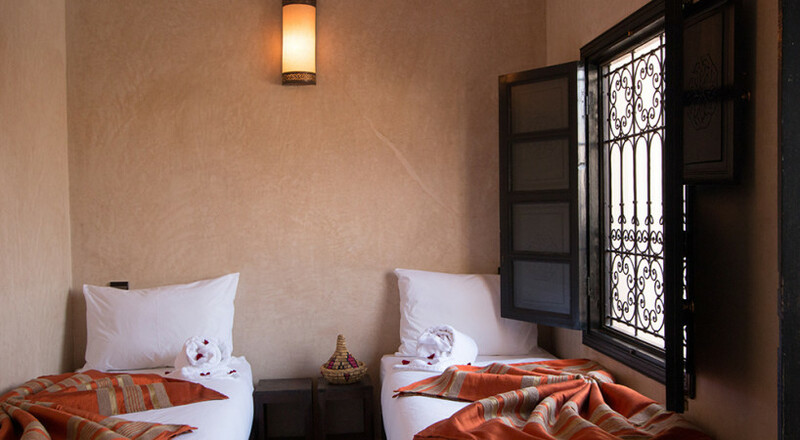 The Arabic word “lhena” means “harmony” or “peace”, words which fit this classic riad perfectly. 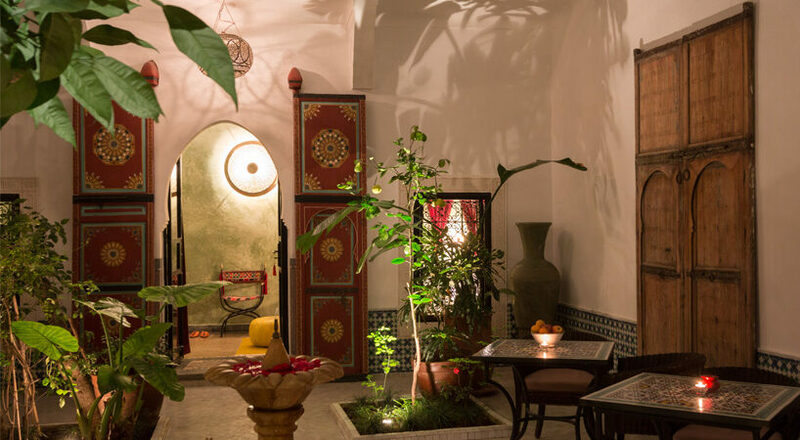 There are six rooms, each with its own feel and history, and the whole riad has been carefully decorated in order to achieve a balance between traditional Moroccan décor and modern design. 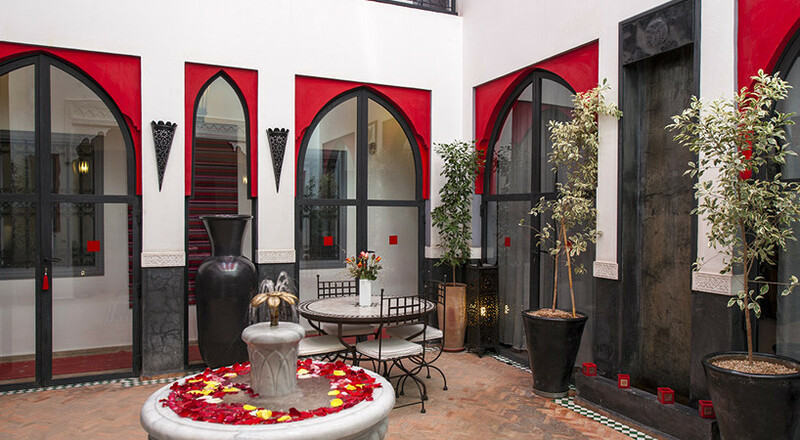 The riad provides a tranquil retreat from the hustle and bustle of Marrakech’s ancient medina, but is just steps away from Jamaa El Fna, the storied market place that is the heart of the medina. 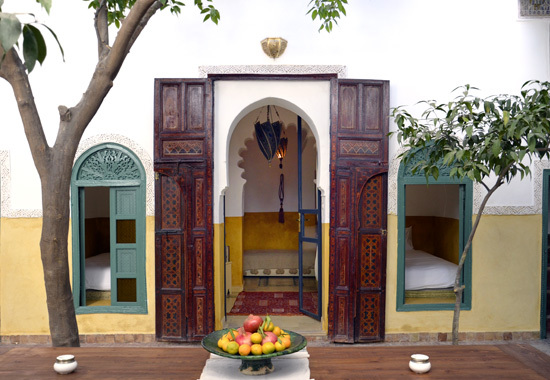 Riad Magi is a colourful five-room riad that gives a feeling of mystery and adventure with its narrow stairways and variety of floor levels. 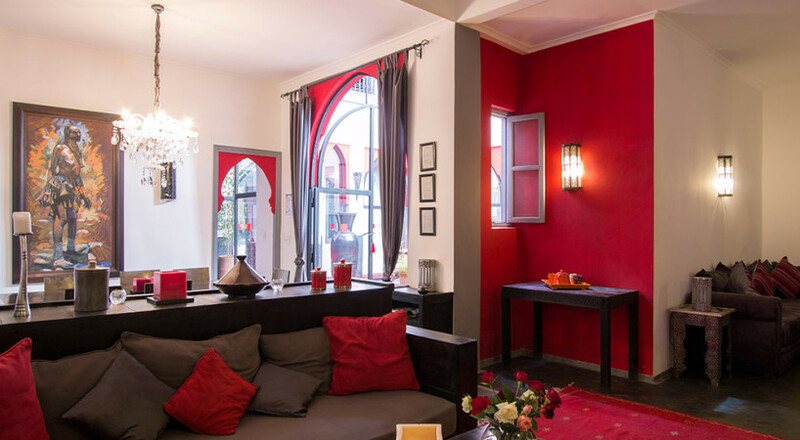 It is located two doors down from Riad Lhena, close to Jamaa El Fna. 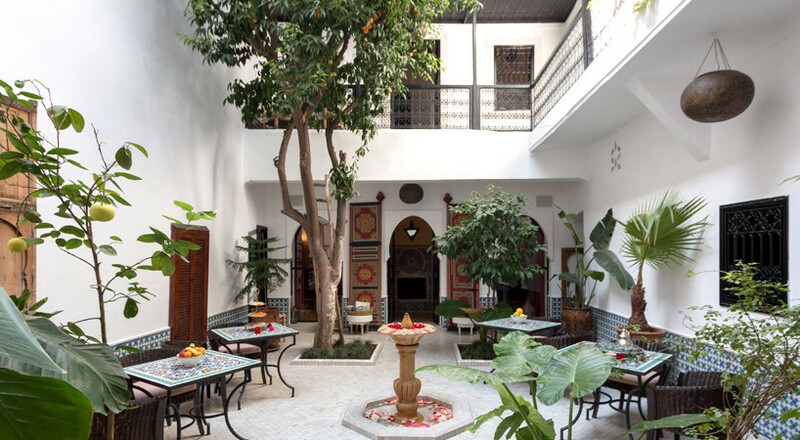 The Riad Magi courtyard is shaded by large orange trees creating a wonderful atmosphere for dining together in the Moroccan tradition. 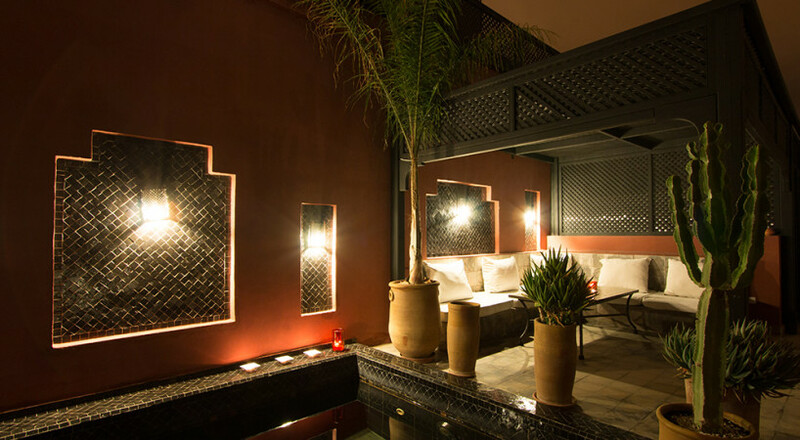 The rooftop terrace is perfect for relaxing in the sun or outdoor dining with its sun loungers and canopied lounge area. 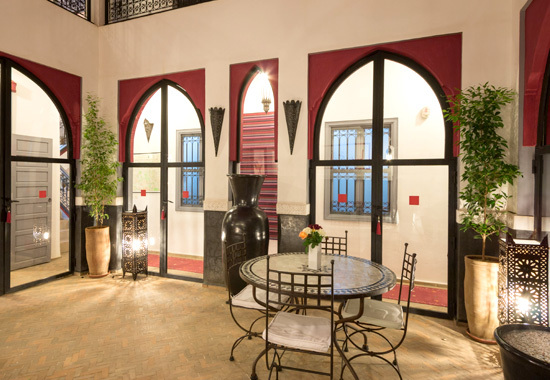 Riad Alegria is located adjoining the noted Badi Palace and metalworkers square, 10 minutes easy walk from Jamaa el Fna. 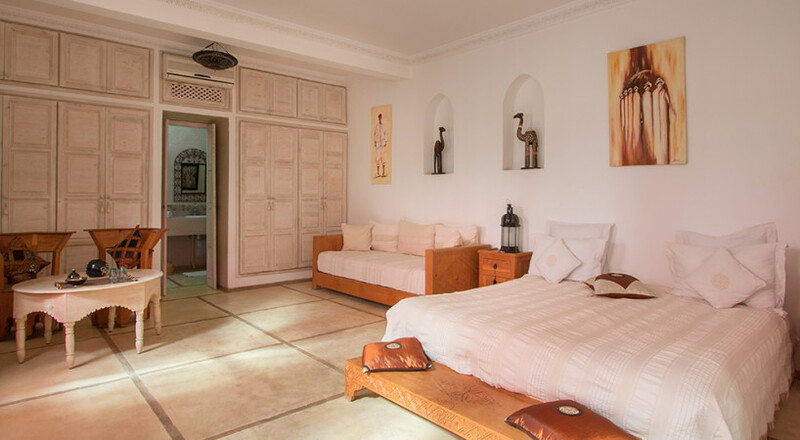 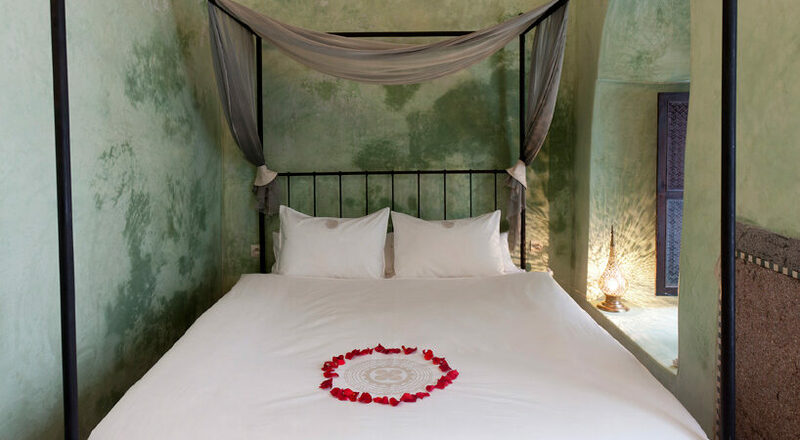 The spacious and welcoming six-bedroom riad has been decorated using and eclectic mix of traditional Moroccan materials and handcrafts, modern colours and furniture, and contemporary African artworks. 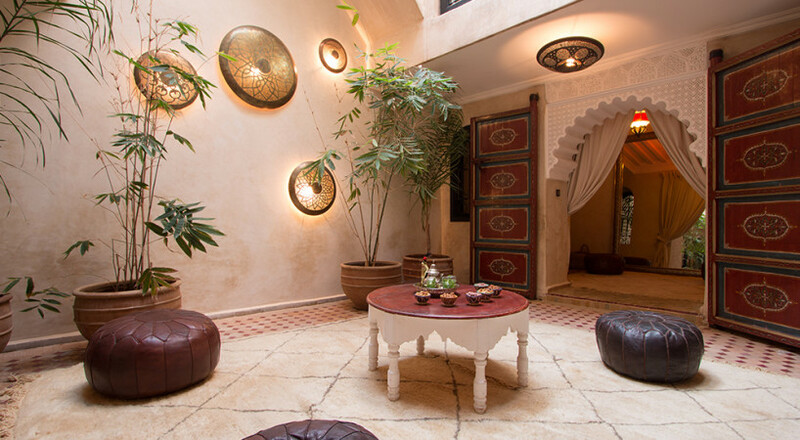 Riad El Faran is a spacious seven-bedroom riad located in the heart of the Medina. 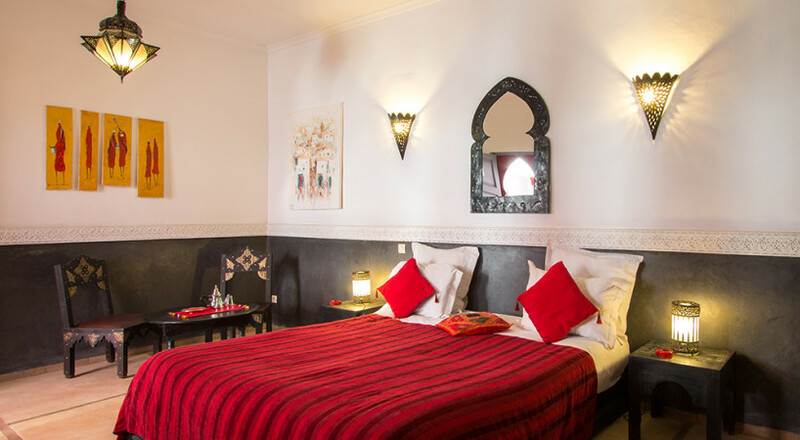 There is easy access and parking nearby and it is 20 minutes walk to Jamaa El Fna through the lively and colourful souks. 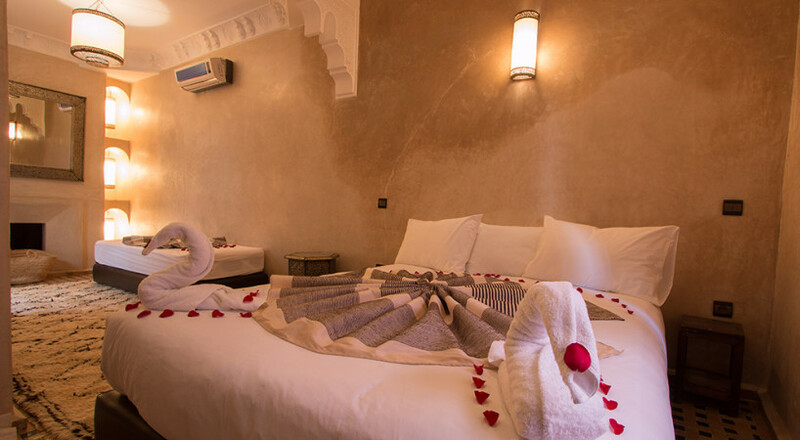 Riad El Faran was recently renovated to a high standard throughout, using traditional materials and techniques undertaken by local craftsmen. 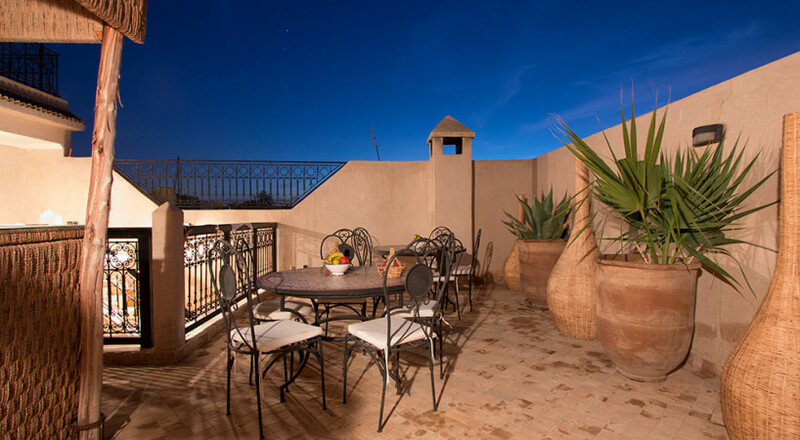 Guests can enjoy drinks or traditional home cooked meals in the sun on the terrace or in cool tranquility next to the pool in the courtyard. 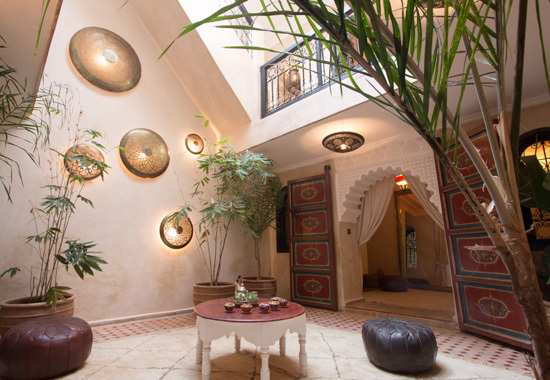 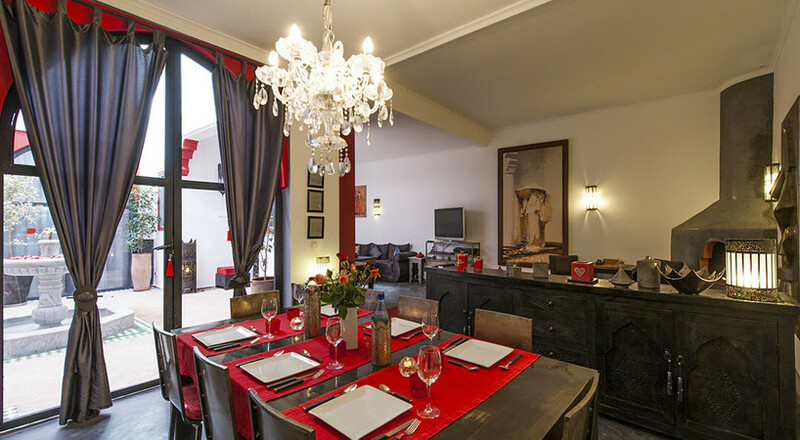 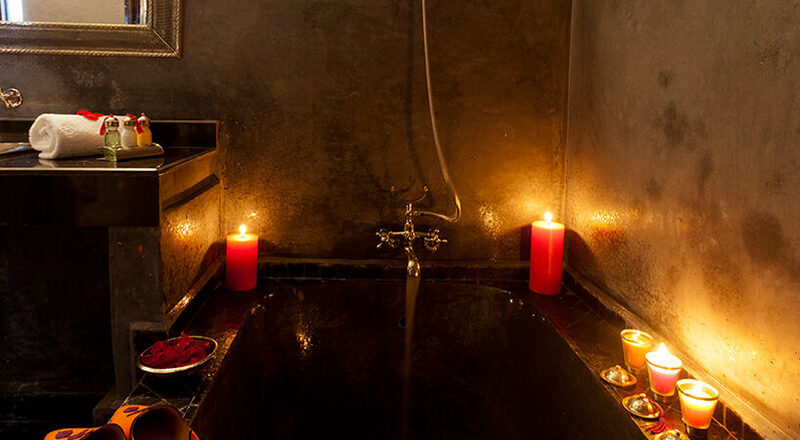 Riad Saha is located in the traditional Marrakech Medina neighbourhood of Bab Ailen. 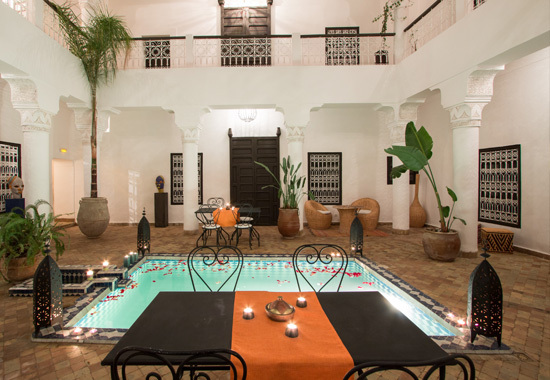 It is a wonderful alternative for groups who want to experience the exotic medina atmosphere while having easy access for trips to the Atlas Mountains or to play golf at any of the nearby golf courses. 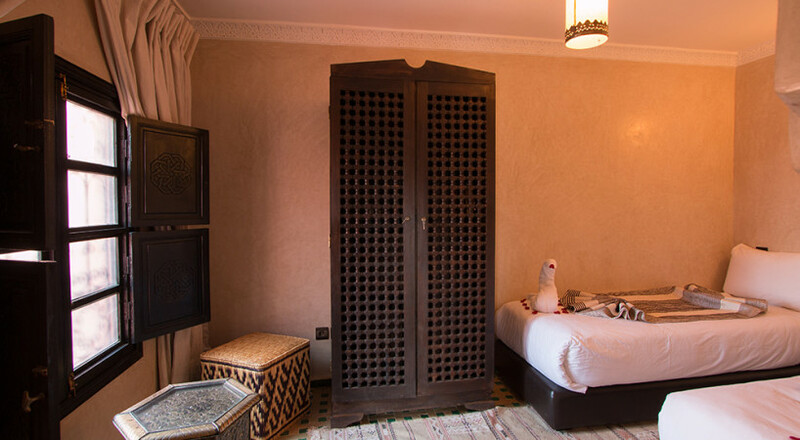 Riad Saha is bookable only as the whole riad, not individual rooms. 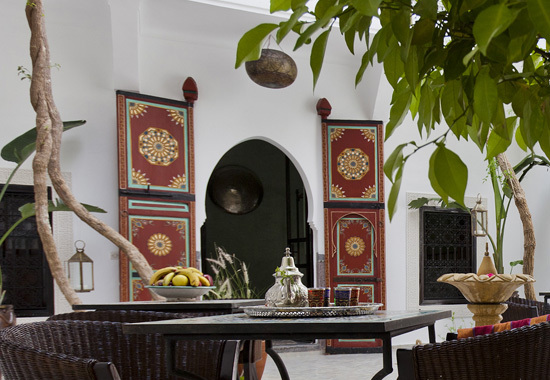 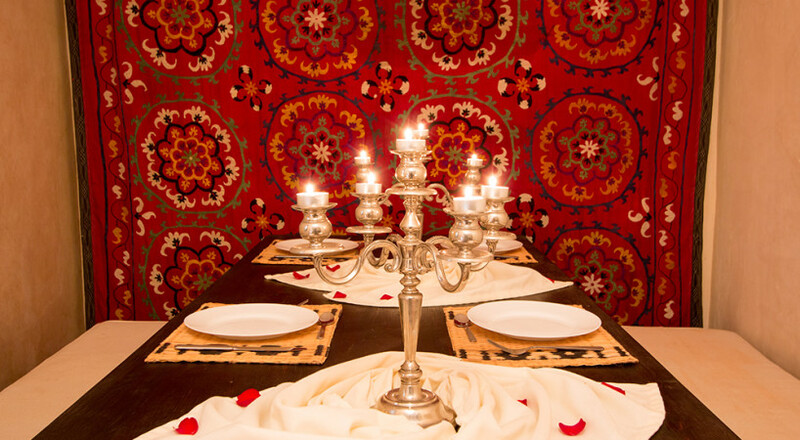 For booking several riads for a large group please contact us.